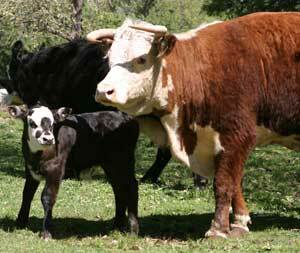 Welcome to the Shasta County Cattlemen's Web Site. We are Updating the Web Site. We hope you find the new look and feel better to serve you. A membership is $20 for a year. Why should I join SCCA? Local cattlemen's associations select representatives to membership positions on CCA. CCA is the only organization that solely represents the interests of the beef cattle industry in regulatory and legislative affairs in California. CCA lobbies the California State Legislature, Congress, and federal and state regulatory agencies on a wide range of issues including, but not limited to: private property rights, federal lands grazing fees and regulation, taxation and user fee issues, water quality and quantity, federal and state endangered species listings, animal welfare, cattle health and animal disease, air quality, conservation programs, government agency land acquisition, and beef quality assurance. Additionally, CCA may be available to assist you with specific issues affecting your individual operation. It is highly recommended as this is the best way to get involved in issues affecting cattlemen. Local cattlemen's associations select representatives to membership positions on CCA committees and the CCA board of directors. Local cattlemen's associations also develop policy at their meetings, which is then submitted to the CCA, and if passed, submitted by CCA to NCBA. Additionally, local associations are better able to assist producers with local issues as they arise.